Did you count the wildebeest? 1,000… no…. 2,000? Ha ha. No, we didn't count them. It would have taken ages. As Beau mentioned before, each game reserve park has it's own personality. 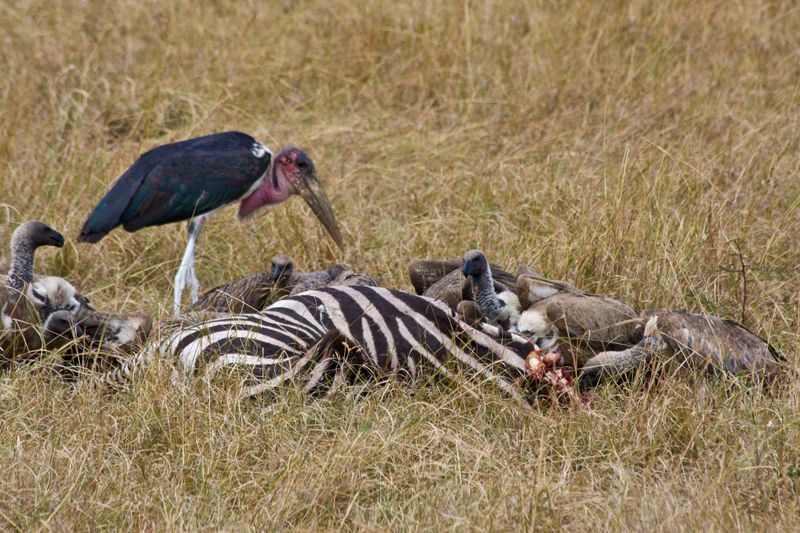 Masai Mara is known for it's massive herds of zebras and wildebeest moving through the park from July to October for the Great Migration. 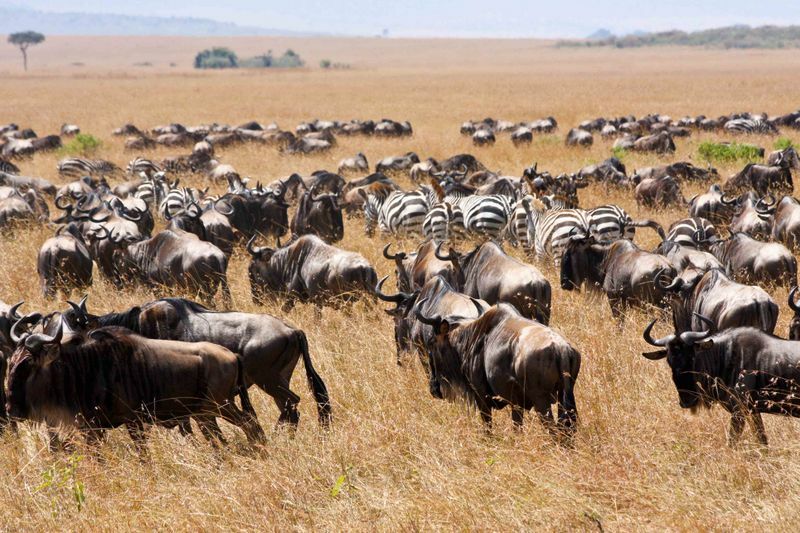 It is estimated that the wildebeest number in the millions during the migration. Through the annual migration route, the herbivores are followed by predators. 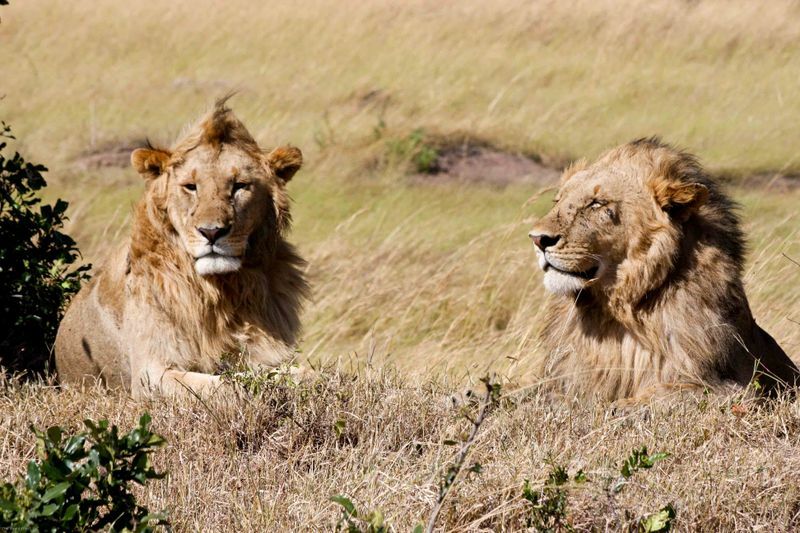 We always love seeing the lions and cheetahs. Who doesn't? 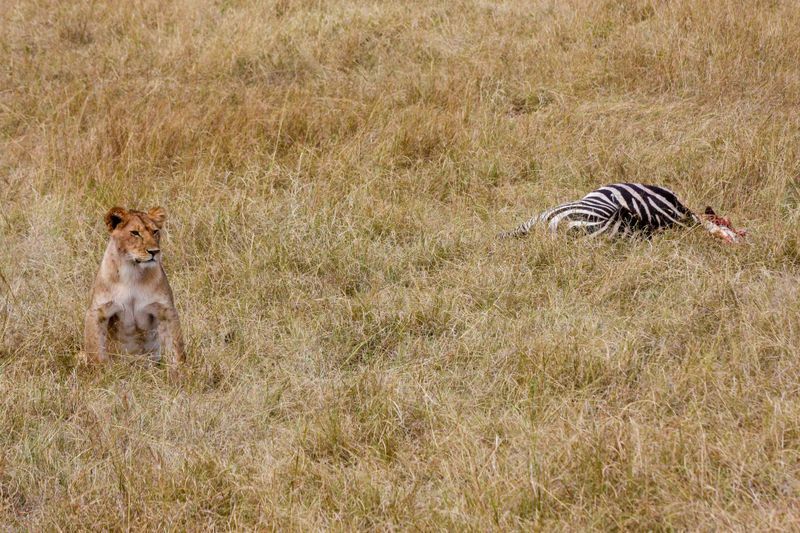 The lions that we stumbled upon had taken down a zebra and were taking a break to catch their breath. 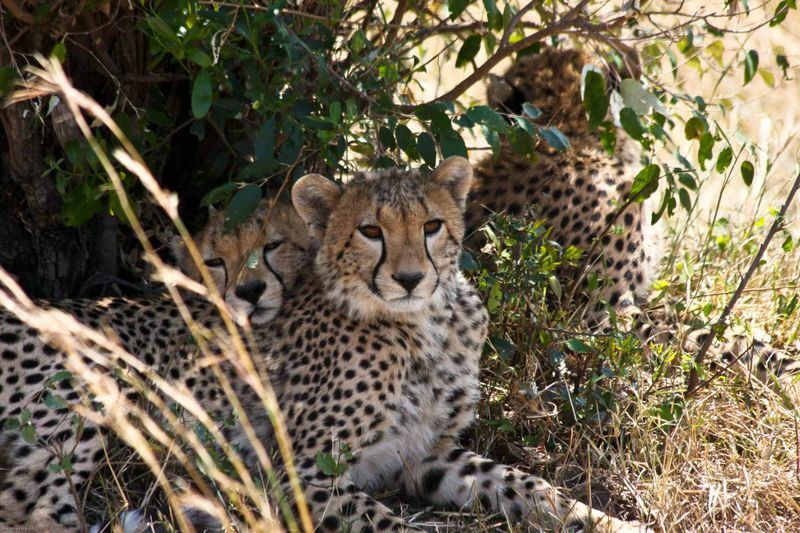 They each took a turn watching their kill while the group rested in the shade. 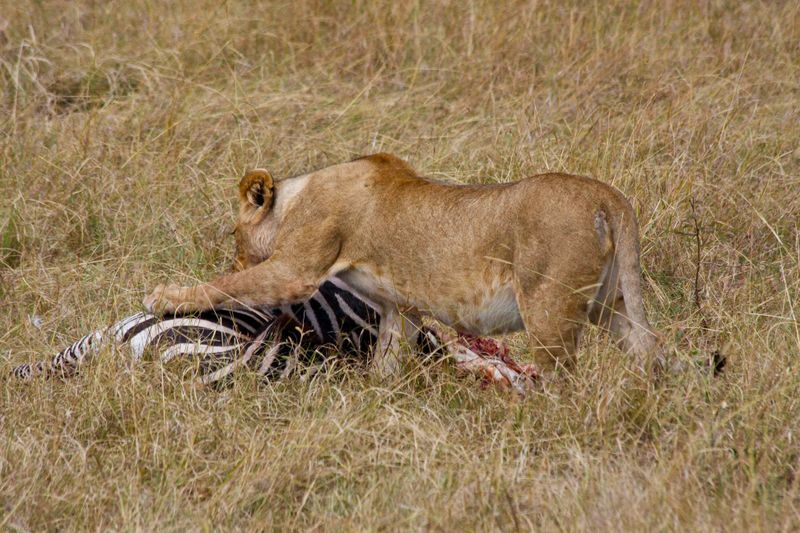 If the lion watching guard walked away for shade the vultures were on the kill in no time. 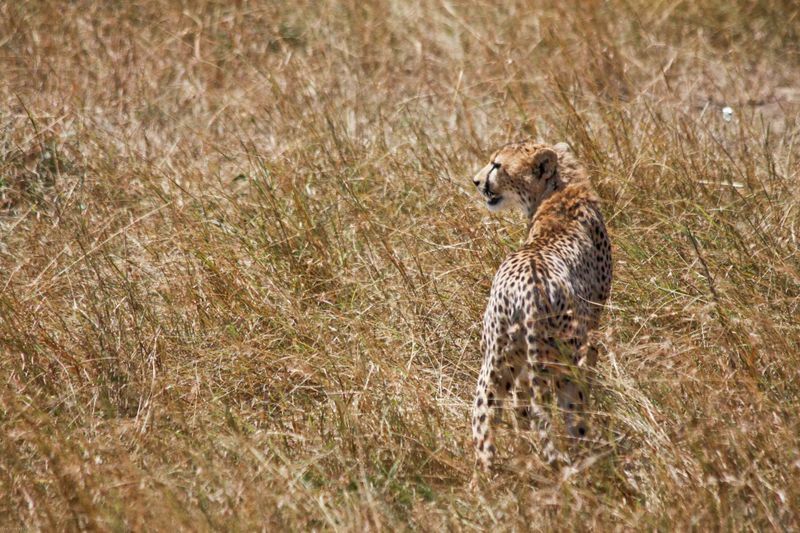 Number one rule in the wild…Never turn your back! You might be dinner or your dinner might be gone. 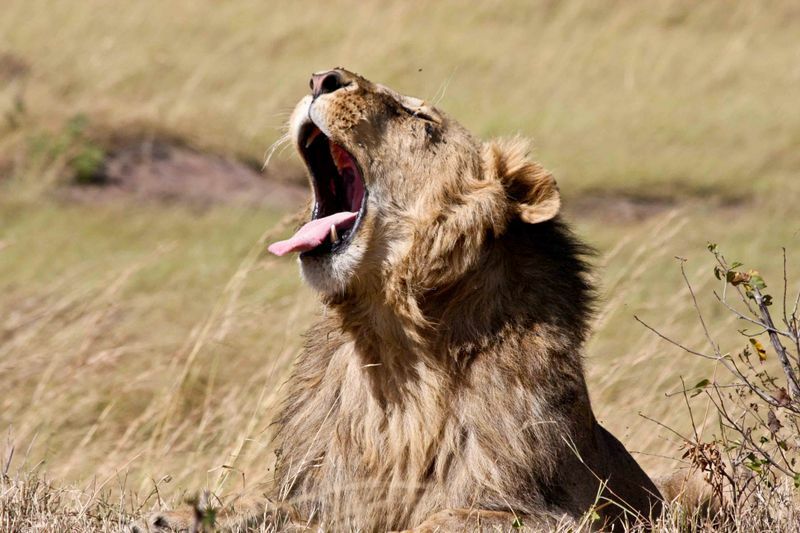 Great pictures of the masai mara. My favourite are those lion pictures. Amazing photo. 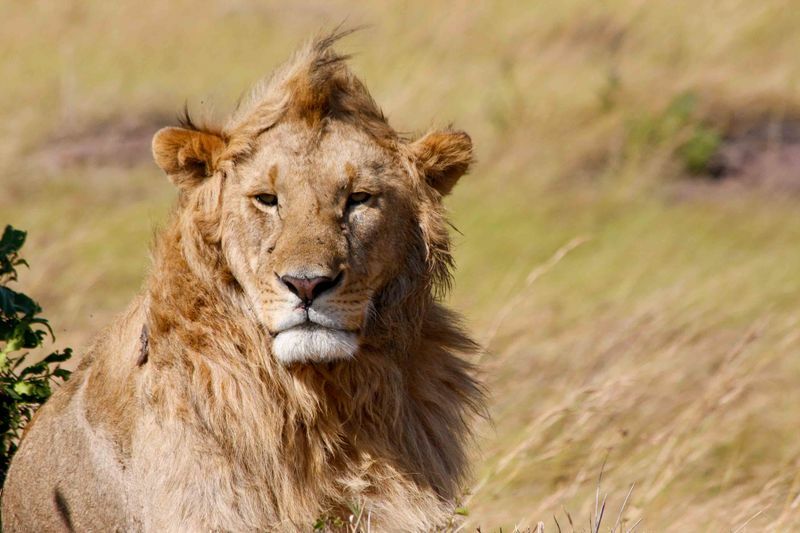 I like the lion’s close up photo.